Daniel Erdmann, active as a member and coleader of many bands, had the sound of this trio in his ear, and looked for and finally found the musicians who would allow the inner sound to become a reality. 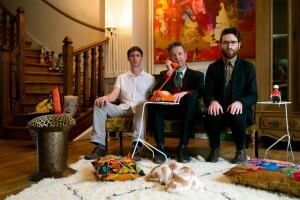 Here is a band that totally bears his stamp, that of the tenor saxophonist andcomposer. At the same time, in the ensemble playing there is lots of leeway for the participants. Music of this kind is about freedom, about the freedom to improvise in relation to the composition, freedom of feeling, thinking, and desire. What initially makes you sit up and take notice and draws you in, is the gesture, the closeness to speech, the narrative and rhapsodical manner. Daniel Erdmann’s pieces are compact, sometimes even complex, and within their forms the participants can roam freely. The themes – in both the musical and the intellectual sense – form the frame of reference. Daniel Erdmann is a self-confessed melodist. And this is often much harder than hiding yourself behind a material exegesis, because the ideas and the statements have to be strong. In this skein of voices with violin, viola and vibraphone, he weaves together a trio that makes it possible to for the parts to share rhythmic or harmonic aspects, to cross over or develop one another. French violinist Théo Ceccaldi contributes something from the grand French string tradition, as well as jazz references and something very contemporary: he can wallow in melody, but also provide abstract, percussive action. Daniel Erdmann knows Jim Hart from a visit to London, where the vibraphonist, who now lives in Colmar, was one of the cofounders of Loop Collective. With its luminous sound, the vibraphone reinforces the chamber music like magic of the trio. Jim Hart, who also profiles himself as a drummer, brings with him precisely that rhythmic competence that here enables him to dispense with drums, brilliantly. The trio is a typically international band – like so many lineups in which Daniel Erdmann is active. There is no proclamatory intent behind this, simply the everyday reality and the tendency of this type of European jazz to make distances and borders seem increasingly irrelevant. Daniel Erdmann’s Velvet Revolution is free from intent, the desire to illustrate, although it does contain a number of allusions. The music draws from the confrontation with reality and bubbles from the imagination. It has something poetic and something anecdotal; something picturesque and something abstract. You don’t need to know what the titles have to do with the pieces when the sounds speak for themselves. 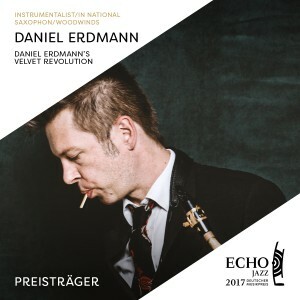 Daniel Erdmann’s Velvet Revolution with French violinist extraordinaire Théo Ceccaldi and English percussion master Jim Hart (here solely on vibraphone) is a happy meeting of three kindred spirits and a tonal specialty. Theo Ceccaldi is one of the strongest, most dazzling and fanciful musicians of the younger French generation. As a ubiquitous musician he has made a strong mark. 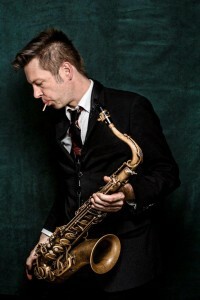 If the question “what connects German composer Hanns Eisler, Free Jazz, French musette and dub reggae?” arises, the answer no doubt will be saxophonist Daniel Erdmann from Germany, living and working now in France as well as in Berlin. He made a name with German-French-Danish group Das Kapital and worked in numerous highly profiled European groups. Jim Hart played an important role in the London LOOP collective and has made his mark in the British scene. He is now residing in France and found his allies in Velvet Revolution. Velvet Revolution is a true European group with a strong spirit, wit, great musical ideas as well as fantasy and capacity to make it work in captivating ways.